There are many traditional sports betting enthusiasts who have now taken an interest in what e-sports has to offer. Those that like to gamble are keen on knowing what the differences are between e-sports betting and standard sports betting. Being educated about the games being bet on is something that is common to both forms of betting. But, it can be a little more challenging when it comes to e-sports. This is because the video games which make up the e-sports category may change and become updated. 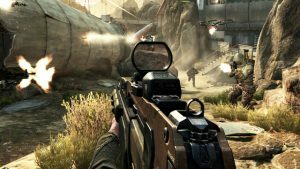 A prime example of this is Call of Duty, which is one of the favourite videos games that are part of the e-sports arena. Those who are going to bet on e-sports have to keep themselves aware of the game upgrades if they want to be an informed gambler. In traditional sports betting, a lot of focus is put on the odds, and the same applies to e-sports betting. Additional attention needs to be put on expected value when it comes to the e-sports betting. This means the bettor needs to know what the average expected win will be, for each bet being placed. Those that enjoy traditional sports betting don’t have to deal with a lot of changes when it comes to a particular sport. About the biggest change that will take place is with the players. This is not the case with e-sports betting. There are constant game changes which a betting enthusiast has to make sure they are aware of. They may bet on a particular game today, and then six months down the road, discover that there have been some dramatic changes made to the game, like a newer version. These are changes which can affect the outcome for the betting enthusiast. A wise bettor will always gather as much information as possible about different aspects of the sporting event they are betting on.